Signs and signs and then there’s the problem of the signs. What is this Coastal Club and since they’ll be gone for several weeks, let’s engage in some rumination of the Sussex County Council. So absolutely nothing discussed today at the Sussex county council made any sense to me even though I read everything provided about the matters discussed. Still I will try to delineate that which I can. First there are the so-called “off-premises” signs. There was a surprise guest about this matter, more on this later. The very words “off premises” indicates, er….not ON premises. It would seem that if I wish to put a sign not on my property but, say, alongside Route 9. I go to the Sussex County council for a special use exception so that I can put my sign where it will be better viewed than if on my own property. Maybe I want to put a series of signs down the road sign to lead people to my event or produce stand. The biggest problem with granting these special use exceptions that people are using the special use exceptions for other than the placement of off premises signs. Say I have a grant for a special use for off premise sign and I choose to advertise my pony ride set up. I’d need another special use exception to even set up my pony rides if the attraction were in a place it shouldn’t be. 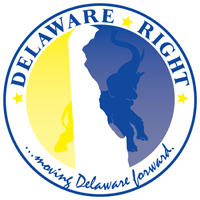 There’s also the matter of the electronic off-premises signs that is causing problems across the swamps of Delaware. The big surprise, which becomes my first rumination, is guess who showed up to talk about this issue directly at the Sussex county council. LYNN ROGERS! Let me tell you my story of Lynn Rogers. I’d just moved to Sussex county and learned that my employer in Maryland actually owned two campgrounds in the swamps of Delaware. One is Tall Pines, I’m sure yon readers have heard of them, big billboard on Route 9. So the owner of Shore Reality is down here looking to buy a new campground and we meet a guy named Prettyman. That’s also when I learned that everybody in Sussex county is related to either a Prettyman or a Pettyjohn, but I digress. There were issues with the campground my company wanted to buy so the owner boom, calls up the councilman in his district, which turned out to be ….TADA….Lynn Rogers. Owner of Rogers Signs, btw, and once a member of the Sussex county councilman. Judson Bennett is a great friend of Lynn Rogers, as an aside. I didn’t quite understand a word Rogers said but it was like old times from over ten years ago. In the end the council did not vote for a moratorium on off premises signs, a rather perplexing way to institute an ordinance. You got to pass a law to put granting of exceptions on hold? Can’t they just not be granted at all for several months without passing an ordinance about it? Then the council moves on to the Coastal Club, which makes me ponder….is this that “Coastal Club” lighthouse thing suddenly jutting up from the corner of Route 1 and Route 9? I don’t understand the above at all but I think a rule should be made that nobody from New Jersey should be allowed to move into Sussex county. Call it an ordinance…..I like it. So Joan Deaver, in the name of the Father, the Son and the Holy Ghost, I swear this woman works very hard for her constituents. I know this as I am one and she was very helpful and accommodating. I also fondly recall Deaver’s attendance at the then 37th RD with Eric Bodenweiser leading the pack and hey, Deaver’s a Democrat, don’t forget. I bet George Cole doesn’t go to Democrat political meetings, no offense to Mr. Cole. But sheesh, Louise…..SOMEBODY CONTACT BILLY CARROLL! Tell him this is his first order of business. GET SOMEBODY TO RUN AGAINST DEAVER WHO CAN BEAT HER! I got a perfect candidate lined up….call me. Deaver asked what would happen to the Eagle who chanced to nest at this new development site….dear Lord….we hold it all up for an eagle? I also note that Rob Arlett is doing a nice job on the council. He’s articulate, thoughtful and seems to be paying careful attention to all details. I knew Rob when he was nobody and, heh, I remember several people telling me to watch Rob, that he’s very ambitious. WELL WHAT THE HELL IS WRONG WITH THAT? Since when is ambition a bad thing? Further, I hope Rob is ambitious. I hope Rob has his eyes set on a state Rep or Senator job. I hope Rob regards the Governor’s office with wishful thinking. Finally, I still love Everett Moore’s soft voice. I am to understand that Moore is an avid hunter but he could lull me to a restful sleep with that sweet melodic voice of his. So there you have it. Some gossip and snark about the Sussex county council, thank me very much. 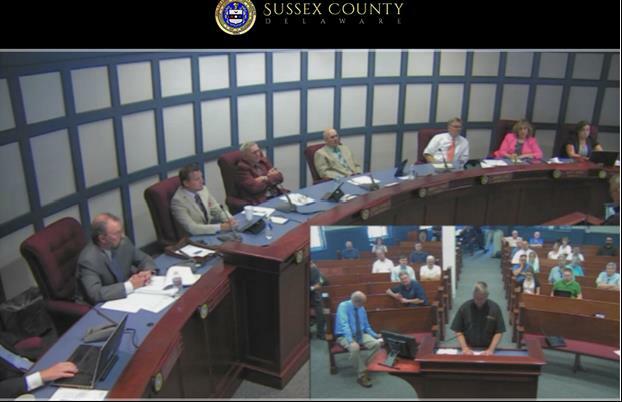 The Sussex county council won’t meet again until 9/15/15. NEXT : Tidbits about Delaware and getting ready for fall. One Comment on "What’s Going on With the Sussex County Council? Come on In for the Scoop-The 8/18/15 Edition"
← he National Scene-The Sunday Political Talk Show Report on 8/16/15.